Watch the presentation below to see how we deal with Lyme here at Natural Health Perth - similar to principles at The Healing Grapevine, using PEMF and far Infrared mats to keep the thermal heat 2 degrees above normal, which destroys pathogens and body invaders. You can utilise far infrared by either coming to the clinic for treatment, hiring or buying from us. Hazards to our health in the 21st Century have escalated in chronic severity and are presenting debilitating complications at younger and younger ages. Back in October 2009, at a symposium for 150 doctors and scientists addressing children's environmental health, it was reported that chronic childhood diseases linked to exposure to toxic chemicals in the environment have been surging upward, almost $55 billion a year. We continue to be exposed to pollutants and chemical poisons . Let's get back to non-toxic foods, water, cleaners, and products that will enhance our vibrant light rather than deaden our souls. The strategies to regain our health, and successfully keep our health, are fundamentally the same, no matter what disease condition is presently challenging us. Our tissues normally produce infrared energy for warmth and tissue repair. Tissue production of infrared energy is associated with a variety of healing responses. Read more by clicking Far Infrared. A supplement is a preparation intended to supplement the diet and provide nutrients, such as vitamins, minerals, fiber, fatty acids, or amino acids, that may be missing or may not be consumed in sufficient quantities in a person's diet. This is an oxygen support system and not to be considered a 'therapy'. it is based on the same principles - we need oxygen! This is a scientifically advanced proteolytic enzyme blend, clinically developed to support the relief of inflammation and reduction of fibrin. This unique formula incorporates clinically proven Enzyme research. 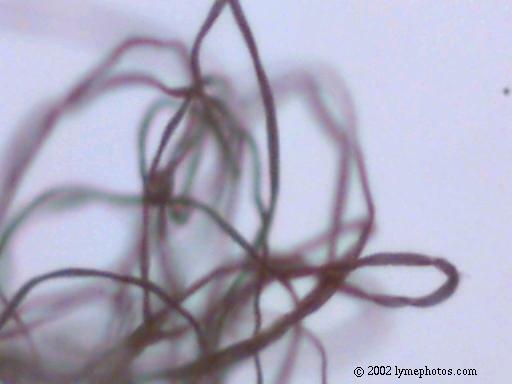 Unwanted fibrin formation can occur inside healthy blood vessels and tissue, causing thromboses. Researchers now believe that excess fibrin accumulation is a major cause of inflammation, arthritic swelling, scar tissue build-up and related cardiovascular disorders. At the root of our cellular ability to function properly is a group of organic compounds called minerals that are necessary to support life. Minerals enable our entire cellular structure to communicate, protect, and nourish our bodies. Liquid minerals target and support this core foundation for healthy living. The chemistry of essential oils is very complex: each one may consist of hundreds of different and unique chemical compounds. Moreover, essential oils are highly concentrated and far more potent than dried herbs. The distillation process is what makes essential oils so concentrated. It often requires an entire plant or more to produce a single drop of distilled essential oil. I have personally been using these healing herbs in my family's daily protocol and give them the highest review as a natural remedy and herbal support strategy. ​After 13 years of suffering with Lyme disease, a possible cure has been stumbled upon. A cumulative effect of much research has produced the possibility that salt and vitamin C may be all that is needed to beat this elusive illness. Without going into a lot of detail, our theory is that Lyme is not just a bacterial disease, but also an infestation of microfilarial worms. Bacteria, worms, internal mites and the possibility of other creatures have been quite horrifying. 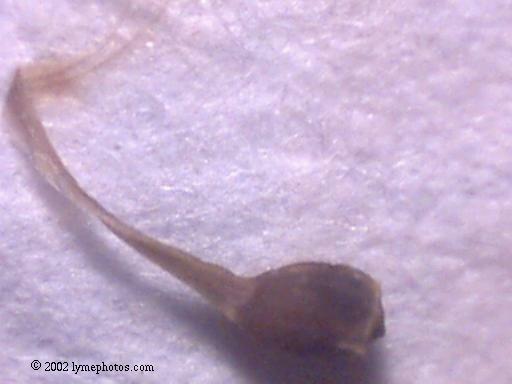 Ticks can transfer many types of pathogens into the body of their host. It is also possible that the tick could pick up a new pathogen and pass it on to their next host, explaining why Lyme patients have different types of organisms within their bodies. Shortly after starting the treatment, we were shocked by the presence of the worms. Microfilarial worms live symbiotically with bacteria. They protect the bacteria from being exterminated by the antibiotics. Our theory is that the microfilarial worm, though possibly a nematode, is a parasitic nematomorph which we name Paragordius Lyme Incorporehumani. 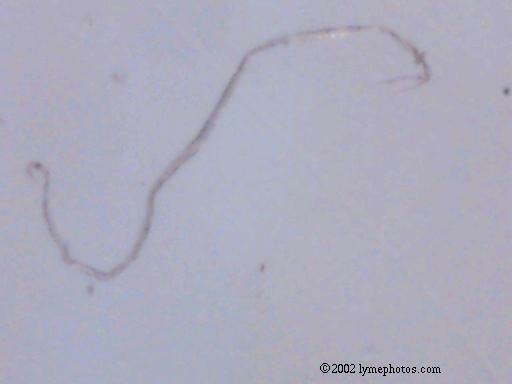 The Lyme bacteria is Borrelia burgdorferi, named after Willy Burgdorfer.From experimenting with the treatment of salt and vitamin C, we settled on a dosage of 3 grams of salt and 3,000 mg of vitamin C, each dose taken 4 times per day.Depending upon one's weight this would approximate one gram for each ten pounds of body weight. We think total daily dosage should not exceed 18 grams of salt or Vitamin C per day, and 15 grams would be the average adult's dosage for a full 24 hour period. If the pills cause a problem they can be crushed or dissolved in water. To get an idea of the dosage, one teaspoon equals 5 grams; thus, one tablespoon would equal 15 grams. Please remember to drink plenty of water. We had been using CMC (Consolidated Midland Corporation), NDC#0223-1760-01, ordered through a pharmacy (no prescription required). Salt tablets can also be ordered online from Amazon.com. The vitamin C used is a GNC product, though any good quality vitamin C pill should work. We have no relationship with any company mentioned. Insects, arachnids, and ticks carry many different types of bacteria, viruses, nematodes, and nematomorphs. We have found many strange things, which we have tried to explain. We must say we are not medical professionals. We were just desperate people looking to get better. We have lost all faith in the medical profession. We were tired of having doors closed in our faces. We researched, contemplated, and came up with an idea. Research the late, great Linus Pauling. He took at least 18,000 mg of vitamin C every day. We tried to read everything we could about Lyme disease. Supposedly cows somehow beat Lyme disease. We considered, why cows,why not other animals? Cows love salt. Humans consume less salt today than they ever have. Early Americans consumed approximately 20 grams a day. The consumption has been drastically decreasing with each decade. Could it be that the decrease in salt consumption has allowed these new illness, such as Lyme, Chronic Fatique Syndrome,Fibromyalgia, Alzheimer's Disease, and Gulf War Syndrome to flourish. Now just lately, the whole salt scare has reversed and the researchers admit that they were wrong. So go ahead and shake that salt! As far as treatment goes, the results were forthcoming with the taking of 8 grams or more. We have actually increased to as much as 24 grams, but find that no one really wants to take that many pills in one day. Remember it is a one-two punch: the treatment is both salt and vitamin C. After years of suffering, finally life is back to normal. We still do not know if organisms lie dormant in our body; therefore, the treatment continues, simply as maintenance. The extreme pain no longer exists. The knot on the side of the neck is gone. We are at peace. We wish you all good health! Feel free to contact us with your opinions and questions at webmaster@lymephotos.com. Though we may not be able to answer each one individually, we will post findings as they come. Hang in there and think positive thoughts. Are These Things Crawling Through Your Body? After 13 years of suffering with Lyme disease, a possible cure has been stumbled upon. A cumulative effect of much research has produced the possibility that salt and vitamin C may be all that is needed to beat this elusive illness. Without going into a lot of detail, our theory is that Lyme is not just a bacterial disease, but also an infestation of microfilarial worms. Bacteria, worms, internal mites and the possibility of other creatures have been quite horrifying. Ticks can transfer many types of pathogens into the body of their host. It is also possible that the tick could pick up a new pathogen and pass it on to their next host, explaining why Lyme patients have different types of organisms within their bodies. Shortly after starting the treatment, we were shocked by the presence of the worms. Microfilarial worms live symbiotically with bacteria. They protect the bacteria from being exterminated by the antibiotics. Our theory is that the microfilarial worm, though possibly a nematode, is a parasitic nematomorph which we name Paragordius Lyme Incorporehumani. 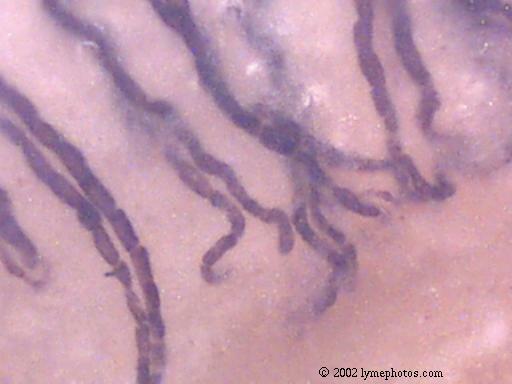 The Lyme bacteria is Borrelia burgdorferi, named after Willy Burgdorfer. From experimenting with the treatment of salt and vitamin C, we settled on a dosage of 3 grams of salt and 3,000 mg of vitamin C, each dose taken 4 times per day.Depending upon one's weight this would approximate one gram for each ten pounds of body weight. We think total daily dosage should not exceed 18 grams of salt or Vitamin C per day, and 15 grams would be the average adult's dosage for a full 24 hour period. If the pills cause a problem they can be crushed or dissolved in water. To get an idea of the dosage, one teaspoon equals 5 grams; thus, one tablespoon would equal 15 grams. Please remember to drink plenty of water. We had been using CMC (Consolidated Midland Corporation), NDC#0223-1760-01, ordered through a pharmacy (no prescription required). Salt tablets can also be ordered online from Amazon.com. The vitamin C used is a GNC product, though any good quality vitamin C pill should work. We have no relationship with any company mentioned.